In 1537 the representatives of the Smalcald League who met in February did not adopt the Smalcald Articles as written by Luther. They did, however, see the need for a statement on the power and position of the Pope. Pope Paul III had called for a council of the church to be held at Mantua later that year. This statement about the power of the Pope was in direct answer to the call for the council. Philip Melanchthon, who also wrote the Augsburg Confession, was asked to author the Treatise on the Power and Primacy of the Pope. This he did, taking his clue from Luther’s writings and teachings. Such a statement was to have been included in the Augsburg Confession, but was not presented to Emperor Charles V because of the controversial nature of the statement. As you recall from previous articles, the Diet at Augsburg was convened in an attempt to reconcile the Roman and Evangelical viewpoints. After Augsburg, however, the situation changed as both sides realized they could not come to an agreement. The Lutherans rejected the Pope as the spiritual and temporal leader of the church. They argued from Scripture and from history that the Bishop of Rome was not, and never was, and would never be Christ’s vicar on earth. All ministers are equally called by God to proclaim the Gospel and administer the sacraments. Only by human order are there ranks of clergy. Bishops are overseers of other pastors, not because of Scripture, but for the sake of human convenience. More controversial for today’s church is the second half of the Treatise. We certainly do not wish to offend nor do we wish to have uncalled for controversy. Yet we also remain faithful to the Scriptures and to the Confessions. This is an important consideration, for this church body and this congregation subscribe without reservation to the confessions contained in the Book of Concord. Philip Melanchthon wrote concerning II Thessalonians 2:3-4, and other verses, and compared the Papal office to the Antichrist as written by Paul. He said the office has usurped the power of Christ, changed the doctrine of justification by grace to a doctrine of justification by works. Finally the Treatise speaks of the necessity for the true church to elect and ordain ministers. This right belongs to the church, and not to any individual. 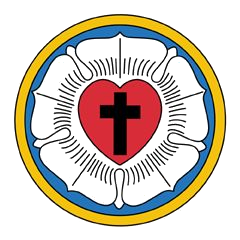 “Wherefore it is necessary for the church to retain the right of calling, electing, and ordaining ministers.” So has the Lutheran church done from the beginning. Text of the Treatise on the Power and Primacy of the Pope in a new window.